Fluoride is a mineral that helps to prevent tooth decay by stopping demineralization and helping to remineralize the tooth structure. High concentration fluoride, that can be applied by your dental professional, can also stop the bacterial metabolism that leads to acid erosion and cavities. 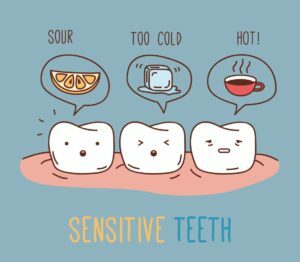 Fluoride can also help to prevent tooth sensitivity. Tooth sensitivity can be cause by a loss of the enamel layer of the tooth, or gumline recession. When this happens, the tooth’s dentin has become exposed. Fluoride helps to block the dentinal tubules, and reduce temperature sensitivity. Fluoride is an inexpensive preventative procedure that can minimize your risk for developing cavities, remineralize early decay and strengthen your tooth structure. At Northfield Family Dental we use a leading edge product called fluoride varnish. Studies show fluoride varnish to be the most effective and safe product available for tooth remineralization and desensitization. Northfield Family Dental using strict guidelines created by the American Dental Association for an individuals risk of caries. Northfield Family Dental utilizes the Caries Classification System to determine which patients are at higher risk of getting caries lesions. If you are interested in learning more about a Fluoride treatment and the benefits of a professional application please consult with Denver Family Denitst Dr. Cardon or one of our highly trained hygienists. Our team of dentists in Eugene, OR remain committed to keeping patients up-to-date on the latest new that concerns exciting breakthroughs regarding the treatment of gum disease. Gingivitis and periodontitis represent a serious threat to our long-term oral and overall health. In recent years, a growing amount of research has found compelling links between gum disease and range of chronic long-term illnesses that include cardiovascular disease, stroke, diabetes, dementia, and cancer. Lowering your risk of these diseases means protecting your oral health from the oral bacteria that causes gum disease. The fight against gum disease may have found a new weapon, according to the results of a new study. Stimulating the action of a hormone may help to prevent the inflammation and other effects in gum disease that contributes to tooth loss, finds a study published in the The FASEB Journal. Researchers in Brazil who were involved with the study discovered that treatment with melanocortin agonists stopped inflammation in mice, suggesting it could lead to a treatment for gum disease in humans as well. A bacterial infection, gum disease causes red, inflamed, and bleeding gums, but the disease can also cause bone loss and has been linked to a variety of chronic illnesses if not treated over the long-term. Based on recent studies that have suggested melanocortin peptides, a hormone, could control some of the bone loss associated with gum disease, researchers at the Federal University of Mina Gerais tested its effects on mice. As part of the study, researchers treated mice infected with Aggregatibacter actinomycetemcomitans – which causes a severe form of gum disease to develop – divided into one of four different groups: One was treated with melanocortin agonist, one was infected but not treated, another was treated with a placebo and the final group was neither exposed, treated or suffered from gum disease. Researchers discovered that mice treated each day for one month with the hormone agonist experienced a reduction in inflammation and preservation of bone physiology, suggesting melanocortin could be used to fight the disease. Controlling inflammation during gum disease ranks as a vital part in avoiding alveolar bone resorption and tooth loss, stated researchers who hope this new type of treatment could improve the lives of millions of patients around the world who suffer from advanced gum disease. Brush twice a day. Brushing at least twice a day helps to remove harmful oral bacteria from your mouth. By removing plaque and food particles that linger after eating from your mouth, you significantly reduce the risk of developing cavities, gum inflammation, or gum disease. The American Dental Association recommends brushing twice a day for at least two minutes each time. The ideal times to brush – if you cannot brush after each meal – is once in the morning and again before bed. Floss daily. Despite recent news reports that have questioned the need to floss at all, our team of dentists in Eugene, OR remain committed to the idea that flossing helps to significantly reduce your risk of cavities and disease. 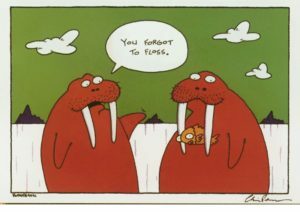 That’s because flossing helps to remove food and bacteria from areas of your mouth a toothbrush just cannot reach – between your teeth and below the gum line. Schedule regular dental appointments. Regular dental care helps to protect your oral health from decay and gum disease. Regular checkups and exams provide our team of dentists with the opportunity to spot the signs of gum disease and tooth decay early on while both conditions are still easily treatable. Don’t let dentures or gaps in your teeth take away your confidence! As your Northfield cosmetic dentist, Dr. Cardon can get started on a path to reclaiming your smile with the exciting application of dental implants! Northfield Family Dental offers the most advanced dental implant technology available, and we love to help our Northfield residents regain their confidence with a healthy, beautiful looking smile. The best way to explain how dental implants can improve your smile is to describe exactly how they work. If you’re a missing tooth, Dr. Cardon will replace the tooth with a dental implant. The implant will take root in the jawbone (just a like a real tooth), protect the bone and integrity of your face, and function just like real tooth. Implants blend so seamless into the natural appearance of your smile that only you and Dr. Cardon will even know your tooth was ever replaced. If you suffer from tooth loss, the bone around the missing tooth or teeth will soon go through a process called reabsorption, which can compromise the structure of your face and create a distinctly unpleasant look many people refer to as “sunken” in appearance. If left untreated, reabsorption can cause discomfort that leads to a variety of other complications and may even eliminate dentures as an option. Whatever the cause of your tooth loss, dental implants can erase the pain and embarrassment of having visible holes in your bite while restoring the form and function back to your smile. Implants provide the structure your mouth and jaw need to strengthen the bone and keep your face from caving inwards. Missing teeth are common, but you don’t have to suffer from this problem. Dental implants replace teeth and preserve the integrity of the jawbone, while also aiding in other restorative dental fixtures. Implants can give you a great smile without any of the inconveniences of having dentures or other options. Your daily routine can go on just as it did before you lost the tooth. In fact, you may even forget that you have an implant! Here at Northfield Family Dental, we are committed to your dental health. Your Northfield cosmetic dentist, Dr. Cardon, loves to give our patients a confidence boost with a great new smile. Don’t hesitate to call us with any questions and make sure to schedule a consultation with Dr. Cardon to find out if dental implants are right for you! To schedule an evaluation for dental implants, please call 720-778-0400.